This AJC article made my day. I am a firm believer in spending your money where you pay your taxes. 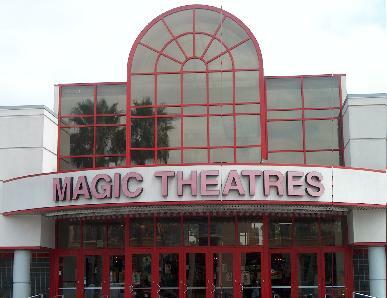 This movie theater is my local theater, and I was really sad at the end of the last year when it closed. I wasn’t even in town to see one more movie! I haven’t been to the movies half as much since its closure–for several reasons, including the fact that the other theater near my house isn’t as reliable (think late starting and unfocused movies). Beyond that, though, I think this is a newsworthy topic because as soon as I posted the article on Facebook, I got comments about how hood this theater and the mall are. Well… Part of the reason they’re “hood” is because they’ve been abandoned by the very people who would make a difference. I have neighbors who will drive 20 minutes to a crowded theater in a neighborhood they will never live in to not be around “the element” just to find those folks in “the element” who actually have cars met them there. Now, I’m no fool. I know not to go to Greenbriar on the opening night of a Madea movie. Wait–I don’t go see Madea movies anywhere on opening night (I probably won’t see them in a theater at any time–just not my thing). I haven’t seen the excessive dirtiness people cite when talking about this theater. And I’m a movie LOVER so I have been to some theaters in my day. The workers are polite (and probably will always be because I’m a regular and I’m always polite too), and I see them cleaning after each movie like I do in other theaters. I’ve been to this theater at all times of day and into the night. With friends and by myself (yes, I love movies that much). I’ve never been mugged. I’ve never heard gunshots. I’ve never felt concerned for my safety. In fact, there have been times that workers or security guards make a point, without being asked, to watch me to my car if I’m unescorted. So! Am I ashamed of being happy and excited that Greenbriar has new investors and my theater is reopening? NO! Am I happy yet another beauty supply store is being opened? No, but that’s a part of the reality. I hope people will start patronizing the businesses in their neighborhood so that the businesses desired will have a reason to be there. The proverbial “element” is in control when “the element” is the only group vested in or supporting area businesses. Kinda like the Census (in which I hope all of you will participate)–you gotta be counted to count.